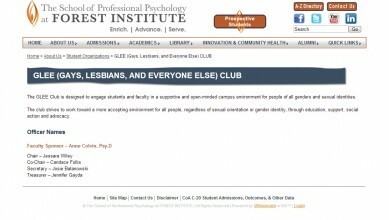 The GLEE Club is designed to engage students and faculty in a supportive and open-minded campus environment for people of all genders and sexual identities. 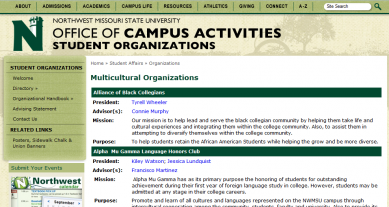 The club strives to work toward a more accepting environment for all people, regardless of sexual orientation or gender identity, through education, support, social action and advocacy. 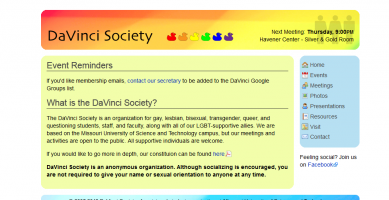 Lambda Organization is a group of LGBT faculty and staff that meet monthly to socialize, work on issues that affect all LGBT people on campus, and to encourage faculty, staff and student engagement. 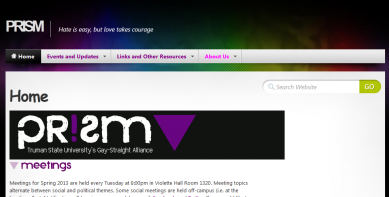 We want to create a safe zone for our LGBT student to know about us, and to be visible role models for that population. 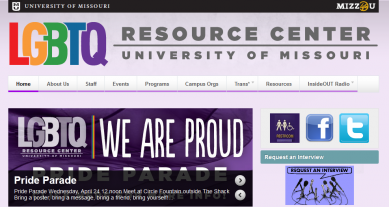 The LGBTQIA Resource Center offers: lounge space for relaxation between classes, computers are available for student use, a large selection of books and magazines are available to read or check out, a wide selection of educational and social events every semester, Safe Space training programs for University departments and organizations (every semester and by request), and extensive campus and community resources and information. MU Nutrition for Families is supported through the MU Extension Family Nutrition Program (FNEP). 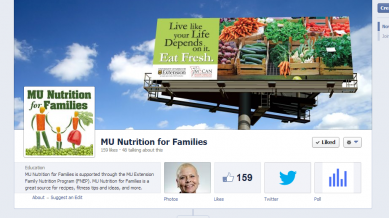 MU Nutrition for Families is a great source for recipes, fitness tips and ideas, and more. 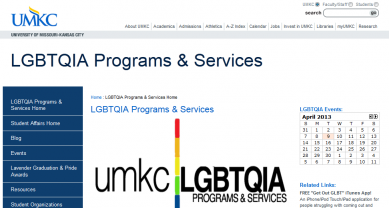 The vision of PRISM is to incorporate vales of diversity, appreciation of GLBTQ culture, and the reverence of acceptance nationally and on Truman State University’s campus. 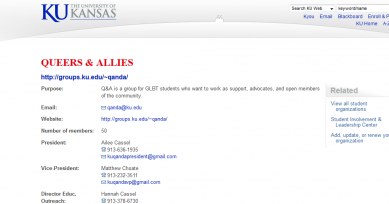 Q&A is a group for GLBT students who want to work as supporters, advocates, and open members of the community.